After all the hype, the first part of "The Button" doesn't really deliver what we expected. 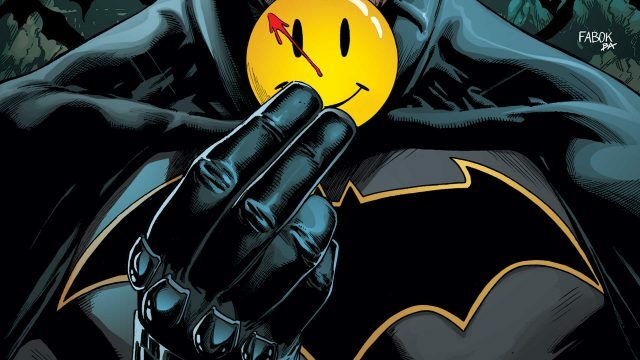 Batman #21 is one book that DC has tried to keep under wraps for as long as possible. After the “Superman Reborn” fiasco fell victim to the Internet’s inherent spoiler culture, the publisher took no chances with this issue. It’s so hush-hush that we only received our review copy at the eleventh hour before release day. Now, the time of reckoning has arrived. One of the most-anticipated storylines of the year is finally here, but does it live up to the hype? 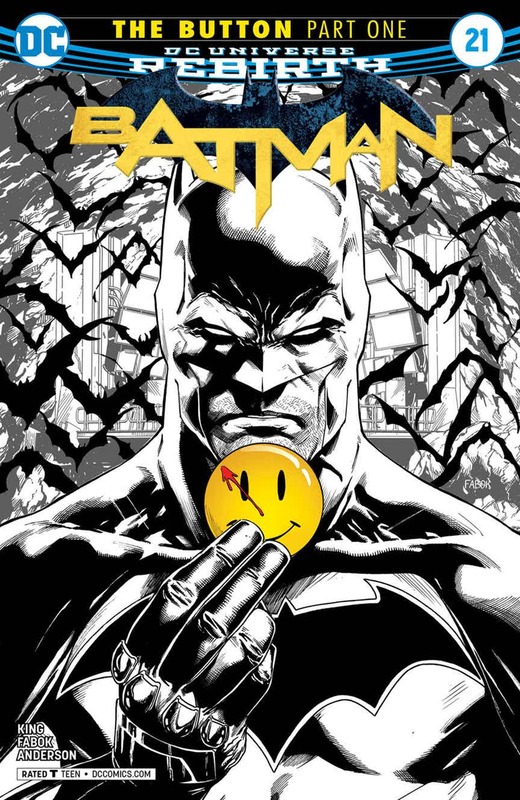 Part one of “The Button” begins in the Batcave with Batman examining the infamous buttons and accidently dropping one on Psycho-Pirate’s mask. 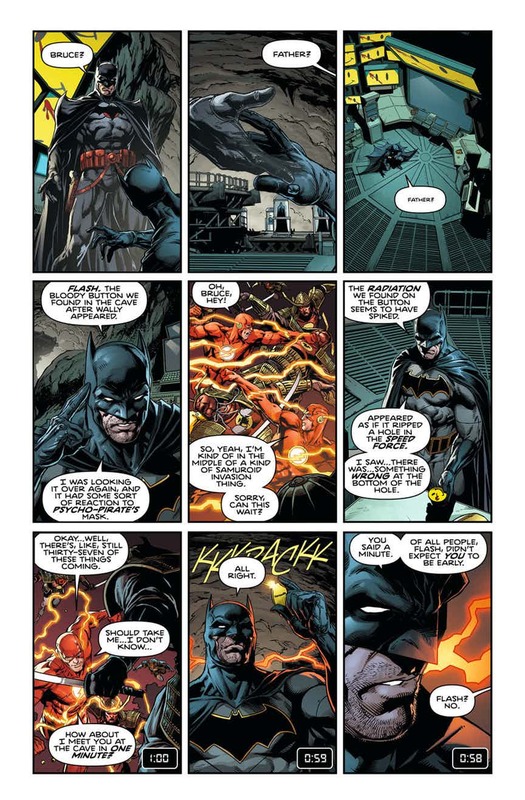 There’s a strange reaction and Flashpoint Batman (Thomas Wayne) appears to his son for a moment. Bruce calls Barry to tell him about what’s happened, with the Flash saying he’ll be there in a minute, literally. 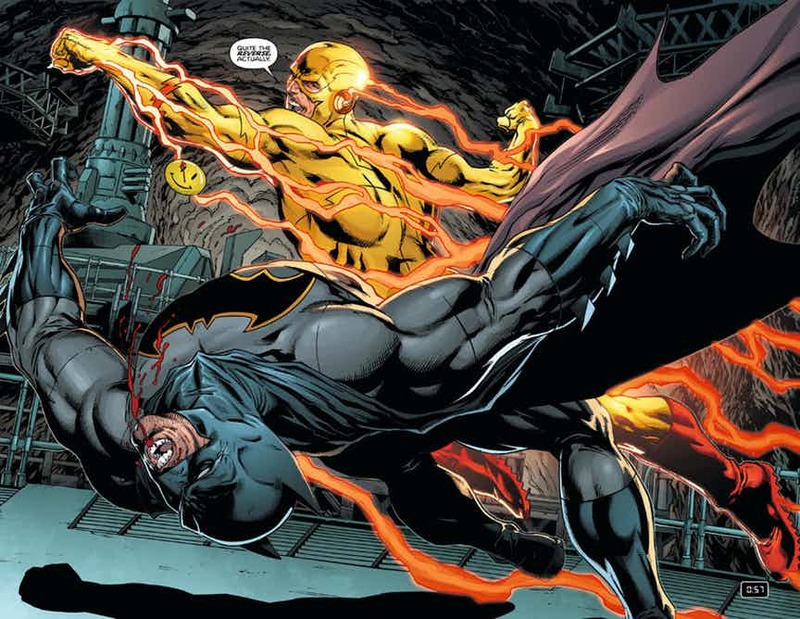 Out of nowhere, Reverse-Flash pounces on the Bat and beats him to a bloody pulp. The villain finds Thomas’ letter to his son, mocks and tears it up. Never one to be defeated so easily, the Dark Knight battles his nemesis, trying to buy time until the Scarlet Speedster arrives. However, he takes another vicious beating and hits the deck. 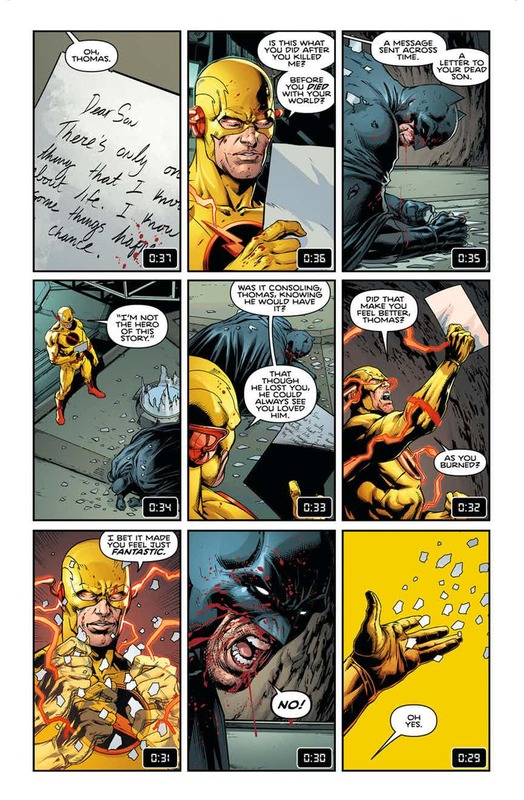 In this time, Reverse-Flash picks up the button to find out about its mysteries. This proves to be a bad idea, though, as there’s another reaction and he’s fried while proclaiming he’s seen god (Manhattan?). The Flash finally shows up to see his battered friend on the floor, and his archrival deader than the chances of a Power Rangers sequel. Like most of his better issues in his Batman run, Tom King minimizes the dialogue and lets the visuals tell the story. 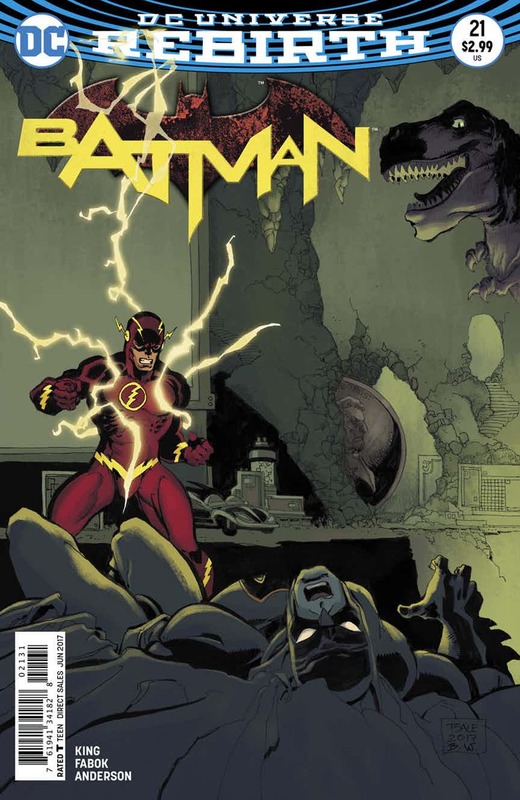 Subsequently, he dedicates a large portion of the issue to the battle between the Bat and Reverse-Flash, delivering on the action aspect. This is fine, but it doesn’t allow for the narrative of the arc to develop sufficiently. Apart from the villain’s death, nothing surprises you all that much. The fight could’ve easily been cut by a few pages, presenting the perfect opportunity to expand on the mysteries. 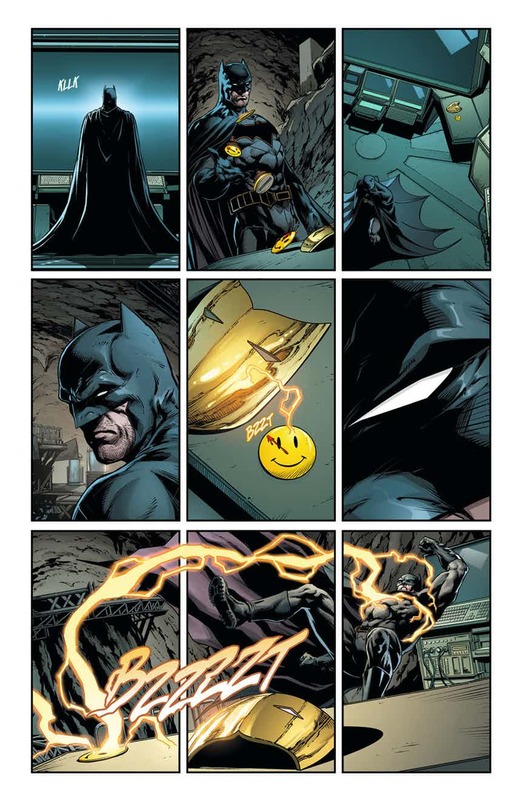 I must admit that I’d become rather found of David Finch’s artwork in the pages of Batman. That said, seeing Jason Fabok’s signature style bring this story to life made me miss Finch a little less. If there’s one artist whom I’d name the natural heir and successor to Jim Lee, it would have to be Fabok. He infuses a lot of fine detail into his drawings and knows how to play with the shadows to achieve the desired effect. Every scratch, dot, and line in each composition is there for a specific reason (no Rob Liefeld randomness here, folks). Also, his versions of Flashpoint Batman and Reverse-Flash, in particular, are easily two of my favorite depictions of the characters. So, after all the wait and promise, is Batman #21 worth it? Kinda. There are a few surprises, such as Psycho-Pirate’s mask playing a pivotal role and Reverse-Flash’s untimely demise. However, I still wish this issue covered more ground than it did. It’s good, but it just doesn’t feel special. 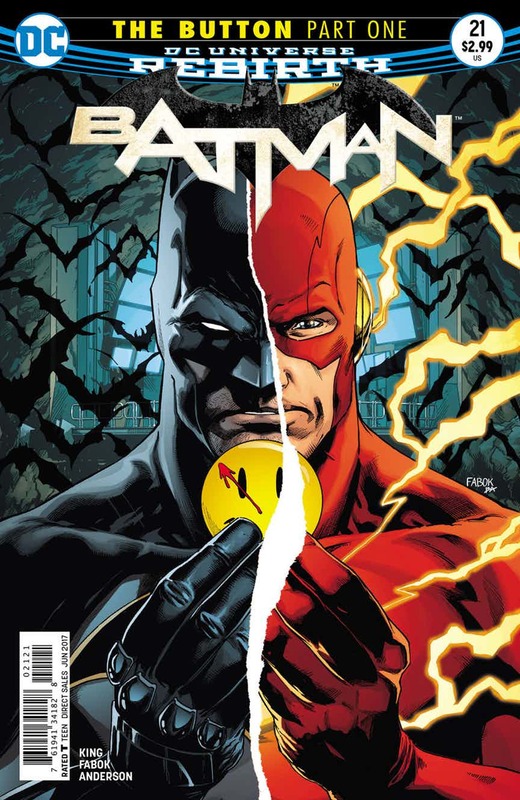 Here’s hoping the second part of “The Button,” which will appear in The Flash #21, merits the hype.